On 26.09.2011, the Ghana Football Association published the squads for the GLO Premier League 2011-2012. In this post, I will make some comments about Liberty Professionals FC. I don’t think it looks too bad for Liberty Professionals FC this season. The club has several quality players with experienced, some of the best teenagers in the league and a rather big squad with good coverage. The big star and the engine room of the team is the experienced Michael Helegbe, formerly of SK Brann(Norway), EA Guingamp(France) and KV Oostende(Belgium). The 26-year old is a petit midfielder with great ball control and lots of creativity, quite possibly one of the best players in the GLO Premier League. I am also expecting a lot from the injury plagued Latif Salifu, a former member of the Ghana U-20 national football team. The 21-year old speedster should be good for double figures if he is able to shake off the injury problems. Salifu played only a couple of matches for Liberty last season. 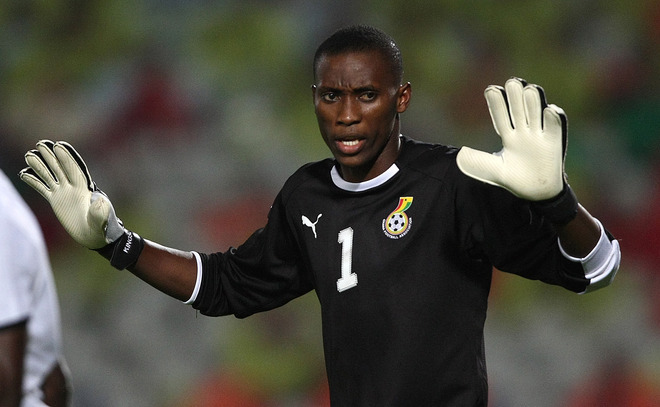 Neither goalkeeper Daniel Agyei nor left-back Francis Morton is named in the squad list, which has to be a mistake. Agyei, arguably the biggest goalkeeping talent in Ghana, should become first choice this year, while Morton should be able to cement his place in the team, despite competition from Richard Antwi and Kwabena Twumasi. Liberty has been able to hold on to central defender Alfred Nelson and I expect Nelson to form a strong pair with Michael Annan. Daniel Addo and Ofoe Ofotsu are great backup players. 18-year old Atta Kusi is a favorite at right-back. The reliable right-back David Kabu is apparently not registered this season. Liberty has some interesting newcomers, and especially the signing of Baba Gullit from New Edubiase United FC could prove to be a stroke of genius. Gullit, who can operate as an attacking midfielder or a left-winger, was excellent last season and I look forward to see how he combines with Helegbe. Hard-working James Kotey provides the balance in midfield, while Christopher Nkansah and Issah Yakubu fight for the last place in the midfield four. I cannot see that the important Isaac Donkor is registered this season and his whereabouts are unknown. From my point of view, the big question mark is the attack. Liberty will be missing Togolese attacker Morou Zakari who joined South African side Free State Stars FC this summer. The lively Ivorian striker Kevin Kouakou Kouadio has joined Egyptian side Telefonad Beni Suef, while the whereabouts of Naby Capi Soumah from Guinea are unknown. As already mentioned, Salifu will have to step up this season. I also expect that Guinean striker Fodé Moussa Sylla, who failed to score league goals last season, will have a much better season. Abass Adams joins from Tema All Stars FC. Adams is apparently a 17 year old striker who made a name for himself during the FA Cup. During the GHALCA Glo G8, Liberty used a Guinean striker called Ibrahima Camara. He is not listed in the squad but I believe he will be part of the team this season. Liberty has also signed two players from second level side Deportivo FC, Martin Osei Nyarko and Nana Tuffour Frimpong. I think they are both attacking minded players. Liberty has always focused on the youth development and there are several youngsters in the squad that have impressed with the Liberty Professionals FC U-17 team during youth tournaments the last couple of years, including goalkeeper Razak Issah, defenders Amadu Banda and Isaac Sackey, midfielders Kwame Boahen, Daniel Kodie and Dennis Osei, attacker Theophilus Addae. In Januar 2011, Liberty U-17 participated in the PFAG Academy Football Tournament and defender Amadu Banda won the “Best Defender Award” for his “timely clearances, interventions and resolute at the defence”. Banda could be a player to watch. Ellesah Mensah, also known as “Junior Mensah”, is a player with quite a history. Mensah played for AshantiGold SC in 2008-2009. Mensah joined ASPAC Cotonou from Benin in 2010 and in December 2010, he was accused of identity document forgery. Last time Mensah played in Ghana, he was known as a Togolese but based on the article above, it is uncertain if he is Ghanaian, Togolese or from Benin. Some players registered are difficult to identify. “Ahmed Acquah” could be the former player of Berekum Arsenal FC, born 08.10.1985. “James Loembe” could be the Togolese international defender, born 25.03.1991. The picture is of goalkeeper Daniel Aygei and is taken from photos.peacefmonline.com. Ahmed Acquah, Philip Appiah, Ernest Barfo, Mohammed Mustapha Dauda, Zuberu Fuseini, Mohammed Ibrahim, Yakubu Iddrisu, James Loembe, Lamine Moro, Muniru Sulley. my names is owusu james from Ghana. i have a brother his name is owusu emmanual who is a talented footballer and want to pursue his career in the football profession. He has completed his secondary school and looking for a football club academy to join and achieve his profession that God his granted upon him. Please he is a Ghanaian but want to pursue his career outside the country where he can remain focus on his future so please kindly help me with information and invitation that would help him get into the academy.thank you for your attention.